Original text and images of the 1986 Schwinn sales brochure. At Schwinn, we're totally dedicated to cycling. Challenging old engineering ideas and developing new ones is as exciting to us as the benefits are to cyclists. Our uncompromising attitude toward using the finest materials available results in precision performance, with unmatched quality. This year our commitment has produced a line of bicycles that is unequaled. There are no better words to describe the '86 Lightweight line than "light-speed." They are hi-tech bicycles that apply the most sophisticated cycling technology to everyday practicality. The Paramount is light and strong; the Peloton, a precision performer; the Super Sport, a triathlete's edge. The Traveler is loaded with features most cyclist would expect to find only on the most expensive bicycles. Last year we sold more bikes to more people of diffferent life stles than ever before. This points to the Schwinn commitment - To design High-Tech. Performance bicycles for a complete range of customer needs, to continue to grow and change with those needs, and to serve you, the customer through our nationwide network of authorized Schwinn dealers and out "No-Time-Limit" warranty. Visit your local Schwinn dealer and experience the Schwinn difference. Built by hand with uncompromised precision, the paramount endures none of the mass production short comings of its competition. Uniquely matched Columbus tubing produces a frame of such rigidity and lightness. That Paramount redefines the meaning of "road feel". Columbus SLX tubing SL/SP used in 60cm and larger frames, investment cast lugs, buttom bracket, fork crown, and forged dropouts. Every frame is aligned to a tolerance of .005 inches, using a digital aligning table. Stronglight / Paramount alloy headset, a team tested and proven performer - installed in every frameset. Urethane enamel, even baked for brilliant colors and long-lasting durability. Frame sizes available, 19" (485 mm) to 25" (635mm). See your Schwinn dealer for complete details. See the complete history of the Schwinn Paramount. With calculated confidence. From saddle to pedals, it's race tuned... built with world class componentes to world class specifications. Peloton, a bike as exciting as you are demanding. Columbus SL/ SP mix tubing and black chrome rear stays - a first class finish. Rolls saddle by San Marco, winner of 10 gold medals at the 1985 World Championships. Sugino 75 crankset. The newest and strongest crank, utilizing 75 aluminum alloy, so every effort is transformed to speed. Cinelli handlebars and stem steer the performance, aided by the new Tange alloy Roller 2000 headset and clement tubular tires. Frame Sizes Available, 19", 20", 21", 22", 23", 24", and 25". Clear coated white with black chrome trim. P19, P20, P21, P22, P23, P24, and P25. All Schwinn Bicycles meet C.P.S.C regulations. Put your ambition in motion! The Super Sport performs with the Hi-Tech precision demanded in top-level cycling and triathlon competition. The newest BODEX derailleurs from Shimano ensure flawless shifting and are S.I.S (Shimano Index System) adoptable, just like their top-of-the-line Dura-Ace used by professionals around the world. To ensure the greatest power transmission. Bio-pace chainrings are standard equipment. New Araya 208 rims are the ultimate in strength and lightweight to keep you rolling. Stopping power is provided bu the newest Shimano 600EX brakes with even smoother, super action than before. Frame sizes available 19", 21", 22", 23", 24", and 25". Clear coated scarlet with black trim. S29, S31, S32, S33, S34 and S35. See the complete history of the Schwinn Sport. There's no contest when it comes to value. The Tempo is sleek, quick, and has all the features of expensive racing machines. Shimano L525 rear derailleur has a sleek new look and is compatible with the Shimano Index System. The light alloy low flange hubs have a sealed mechanism to protect from dirt and moisture. A leather suede saddle from San Marco provides comfort in shirt sprints or century rides. Frame sizes available 19", 21", 23", and 25". Clear coated impulse blue or pearl white with greystone trim. S19, S21, S23, and S25. For speed work, training or track racing, feel the strength and power of the bikes named for the demanding 6-day race in Madison Square Garden. SunTour light allow high flange precision track hubs with double sided rear complete with fixed gear and single freewheel. Dia-Compe alloy side pull brakes are included for use on the road. SR black alloy track pedals and Sugino track crank turn every movement into motion. Columbus tubing ties is all together for a bicycle at home on the road or track. Frame sizes available 19", 21", 23". Clear coated frost white. M19, M21, M23. You're a recreational rider with racing blood in your veins. Let that spirit fly on the prelude. Forged light allow SR SXC-200 low-profile crank for the racing look and efficient power transmission. San Marco leather suede saddle for comfort and durable good looks. Columbus tubing and forged dropouts expensive features at an affordable price. SunTour Cyclone derailleurs allow a wider gear range with the same size as racing derailleurs. Frame sizes available 19", 21", 23" and 25". Clear coated bright blue or gunmetal. PR9, PR1, PR3, and PR5. Dependability and sophistication are trademarks of the LeTour. European styling and compomenntry blend for a better-than-ever value. Stonglight alloy crankset is just that, strong and light, with a high polish for boasting. Huret Rical derailleur system knows no rival when it comes to shifting ease and accurancy. Dia-Compe alloy side pull brakes with anatomically designed brake levers for comfortable control in any situation. Anatomically sized handlebar, stem and micro adjusting seat post assure a perfect fit. Frame sizes available, Men's 19", 21", 23" 25" and 27". Clear coated frost white or scarlet. L21, L23, L25, L27, L59 and L62. See the complete history of the Schwinn Letour. The beauty of the long distance bicycle - Light, responsible, trustworthy. Let Schwinn's ultimate touring machine take you from coast to coast. Shimano's new triple plateau crankset with Bio-Pace chainrings make mole hills out of mountains. The chamois suede San Marcon saddle and padded handlebar wrap make hours roll by in comfort. Precision sealed bearing Sansin hubs and Schwinn dual hard Kevlar belted tires ensure miles of trouble free riding. Choose from 15 speeds with ease, using the light-action Shimano L525 GS rear derailleur. Frame sizes available, 19", 21", 23" 25" and 27". Clear coated british pine. V19, V12, V23 and V25. See the complete history of the Schwinn Voyageur. Light, versatile and comfortable. The Passage smooths out weekend excusions and afternoon jaunts. Braze-on features include 3 water bottle bosses, cantilever brakes, pump peg and rear carrier bosses, with blackburk rack attached. Huret Duro-Par rear derailleur, a favorite among tourists world wide because of its smooth shifting, particularly with the Huret ratchet shift levers. Columbus tubing and special touring geometry make this a smooth performer. Sealed mechanism hubs and 40-spoke rear hub keep rolling, mile after mile after mile. Frame sizes available, 19", 21", 23" and 25". Clear coated midnight navy PA9, PA1, PA3 and PA5. Travel in comfort and arrive in style! The Traveler is light, quick, and loaded with features that make it a valuable companion. Stem-mounted light action shift levers, brake extension levers and cushion grips keep the controls comfortably in reach. True Temper T1 chrome moly double-butted frame tubes give a light, responsive feel. Maillard alloy sealed mechanism hubs provide miles of maintenance free riding. SR light-alloy handlebars and crankset keep the weight to a minimum for maximum enjoyment. Frame sizes available, Men's 19", 21", 23" and 25". Ladies; 17" and 19". Clear coated cadet blue. T19, T21, T23, T25, T27 and T59. 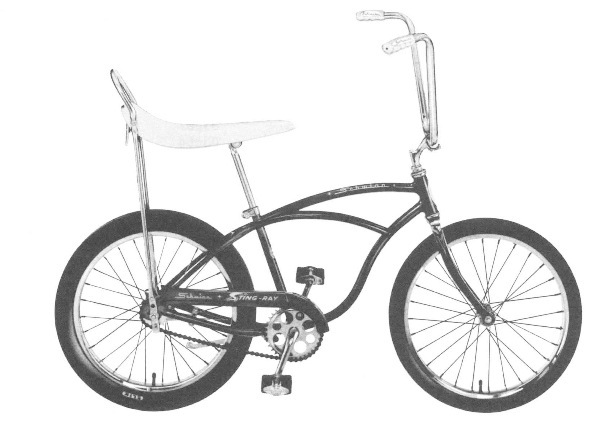 See the complete history of the Schwinn Traveler. Some bikes have it all! Quality, style, value with brand-name components and high-tech features. How can it be so affordable. Shimano light-action alloy derailleurs, with stem-mounted shift levers for easy shifting. Sugino VP light-alloy forged crankset, with the low-profile styling that is so popular. Aray alloy rims with front and rear quick release and easy rolling, high-pressure tires. Frame sizes available, Men's 19", 21", 23", 25" and 27". Ladies; 19" and 21". Clear coated charcoal or racing red. 919, 921, 923, 925, 927, 959 and 961. See the complete history of the Schwinn World. An all new bicycle with a familiar name. The Varsity is just as durable and dependable as ever but is now lighter in weight and styled for today. Shimano positron shifting with front freewheel system allows accurate index shifting without pedaling. Wide 27" x 1 1/4" steel rims for extra strength and long lasting durability. Patented, Schwinn built in kickstand for convenience. Frame sizes available, Men's 19", 21" and 23". Ladies; 17" and 19". Blue metallic. 719, 721, 723, 757 and 759. See the complete history of the Schwinn Varsity. To design a bicycle with quality standards this high, and a price this low - it means the World to Schwinn and to cyclist. Weinmann alloy rims and high-pressure tires make the World roll smoothly, and with front quick release, you can take it anywhere. SunTour AR light alloy derailleurs shift smoothly and positively with stem-mounted levers. Sugino alloy cotterless crank is a feature usually found on more expensive bicycles. Frame sizes available, Men's 19", 21", 23" and 25". Ladies; 17", 19" and 21". Black or Aqua blue. 819, 821, 823, 825, 857, 859 and 861. Fast becoming a symbol of quality and value, the Sprint includes Schwinn's unmatched warranty and service after the sale. Cushion grips, padded anatomic saddle, and Schwinn HP sport tires make the Sprint a joy to ride. Available in 4 diamond frames, 3 step through frames, 2-24" wheel frame sizes, and 3 colors - even more of a reason to ride a Sprint. Frame sizes available, Men's 19", 21", 23" and 25". Ladies; 17", 19" and 21". Boys and Girls; 16" Blue metallic or grey firemist - Men's and Ladies. Blue metallic or red - Boyd and Girls. 619, 621, 623, 625, 657, 659, 661, 664, and 684. See the complete history of the Schwinn Sprint. A shining example that practical can be stylish. The World Tourist's traditional design offers lightweight, comfortablt riding for recreation or errands. Shimano Positron indexed derailleurs with easy-to-reach thumb shifters and front freewheel system in either 5 or 10 speeds allows shifting without pedaling. Wide 1 3/4" tires, upright handlebars and a cushion-molded saddle move you in style and comfort. Standard equipment includes full, painted fenders and the Schwinn patented kickstand. Frame sizes available, in 10-Speed: Men's 20", 22" and 24". Ladies; 17"and 20". Light maroon, F20, F22, F24, F57 and F60. Frame Sizes available, in 5-speed: Men's 22". Ladies; 17" and 20". Maroon. G32. G57 and G60. Depend on the Collegiate to get you where you want to go-on Campus or around the neighborhood. For leisure or transportation, there's no better value today. Shimano 3-speed caoster brake that is easy to use and dependable. Full length fenders, chainguard, and Schwinn kickstand are standard on all models, including the 24" wheel version. Frame sizes available, Men's; 22". Ladies; 17" and 20". 16" Frame, 24" wheel girls model also available. Sky blue. C60, and C84. See the complete history of the Schwinn Collegiate. Commuter Panniers ideal for around town use at an economical price. Professional Panniers large capacity packs designed to fit both front and rear packs. Professional Rear Panniers extra large capacity packs designed with the serious enthusiast in mind. Jumbo Jet deluxe handlebar pack designed with extra cargo space. Rack Top Pack fully insulated pack designed to keep contents cold when the gets hot. JET roomy sport handlebar pack designed for everyday use. Flying wedge larger version of the Aero Wedge pack. Stuffle Bag small, under the saddle pack, ideal for a few essentials. Survival wedge combines the ever popular Aero Wedge pack with one of the finest tool sets on the market. Cargo Can economical saddle pack with plenty of room for a variety of needs. Sidi cycle sport - a top quality cleated with a reinforced nylon sole and mesh nylon upper. Sidi revolution - outstanding quick release design. Ideal for the (speedy) triathlete. Reinforced nylon sole with a combination nylon and leather upper. Features two secure hook and look closure tabks for comfort and fit. Toe straps - paramount design group flashy new toe straps in a rainbow assortment of colors. Made of a nylon fiber resin, these straps hold their own! Cat eye toe clips - super light nylon toe clips are the wave of the future. Incredibly durable, tougher than alloy and steel. Voyageur gloves - crochet back gloves for the avid cyclist who travels in comfort. Fully padded leather palm thumb. Tape style your bike with Benotto flashy handlebar tape. Available in a myriad of flavors. Women's tri suit - one piece garment well suited for running, riding and swimming. High cut legs provide great freedom of movement. Poly pro liner for comfort. Lycra jerseys - beautiful red, white and blue or blue with white mash. Both jerseys are made of a high quality raschal knit nylon! Lycra that stretches around the body. Gloves hot new lycra gloves from Schwinn's own Paramount design group. Team Cabretta glove this r ed and white racing lycra glove features the finest Cabretta glove leather available. Black and white lycra glove made from a synthetic suede more durable than natural leather, with terry towel thumb. Lycra shorts stylish and functional riding shorts from the Paramount design group. Fastback carrier easy to use, lightweight, holds up to 3 bicycles. Speedworks wind trainer - stay on your training program in the off season, very portable and very solid. Tires Schwinn dual hardness tires - premium, performance, longer tire wear, shorter stopping distance, better cornering and lower rolling resistance. Look for the NEW Pro Circuit and Pro Circuit LF semi bald tire from Schwinn. This is the Schwinn catalog for 1986. Use links below to skip to your bike model.